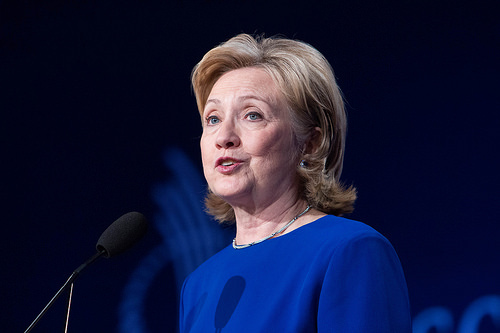 Clinton, speaking at the National Clean Energy Summit in Las Vegas, also emphasized that clean energy development will have a positive effect on jobs and the national economy. She maintained that the “whole false choice debate” in relation to climate change “has been going on way too long, and that “we are leaving money and jobs behind” because of it. “We are leaving money behind, because I have no doubt that our commitment to a clean energy future will make America more competitive, will give us back an export edge on taking a lot of the technology that we either invent, or that we make more readily usable, as a key part of our global economic position,” Ms Clinton said. It can happen if America is willing to “make the hard choices” to address climate change, at the same time as investing in advanced clean energy infrastructure, she maintained. Do you think Hillary Clinton is correct in suggesting that the United States is currently missing a big opportunity to become a global clean energy superpower? Is it something the United States should strive for in the 21st century?